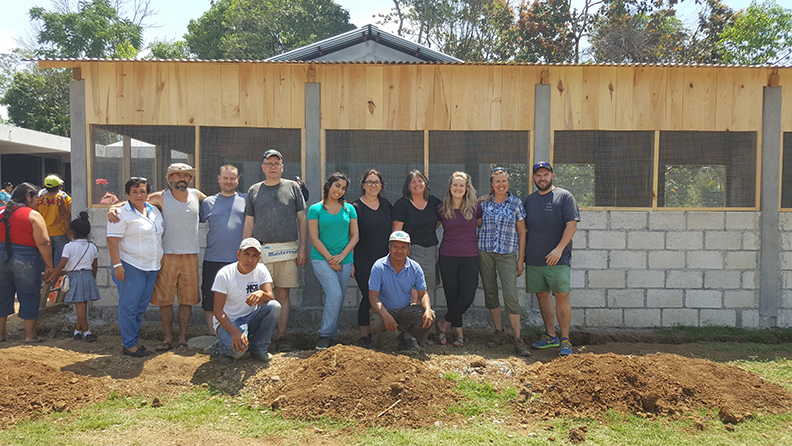 In March 2018, eight (8) PSAC members from across Canada traveled to Guatemala with the PSAC Social Justice Fund’s Education In Action (EIA) project. 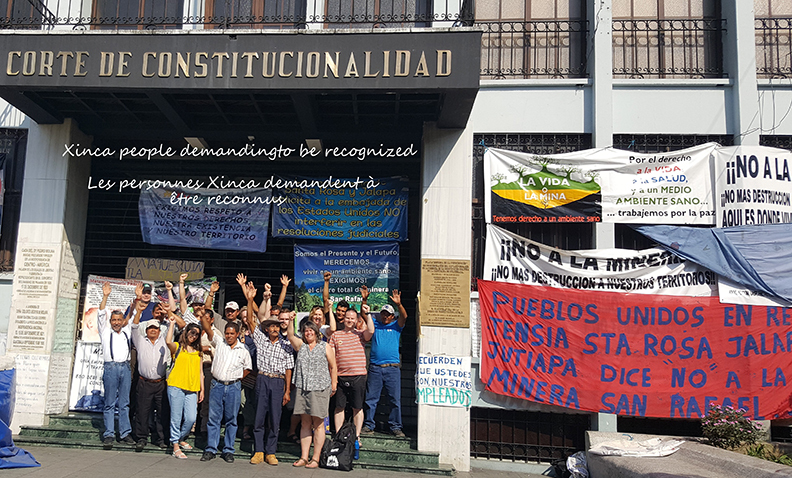 This journey began on International Women’s Day, when the delegates marched with sisters from the partner organization, the Comité Campesino del Altiplano (CCDA) and hundreds of other social movements who filled the streets of Guatemala City. This year’s delegation included Nadine Babineau - AGR, Neha Channan – CEIU, Jessica Chiasson - UNE, James Desmoulin – UNE, Kelly Megyesi – CEIU, Andrew Wiersema – CIU, Ryan Winger – UNE, Anthony Valles – AGR. 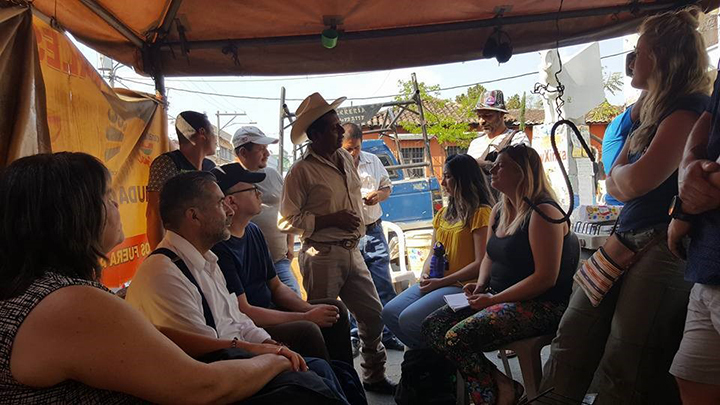 Since 2007, fifty-six PSAC members have volunteered their time to partake in an annual EIA delegation to Guatemala to learn from and work with a farmer’s cooperative movement, the Comité Campesino del Altiplano (CCDA). 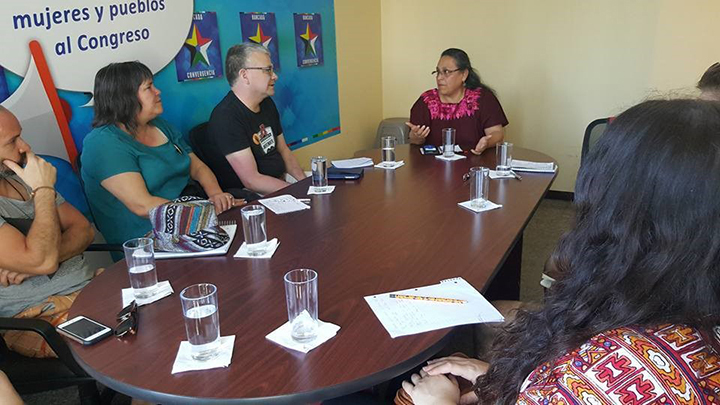 The solidarity and awareness of PSAC members have been strengthened through the growing relationship with the CCDA, whose work now extends throughout the Guatemalan territory. 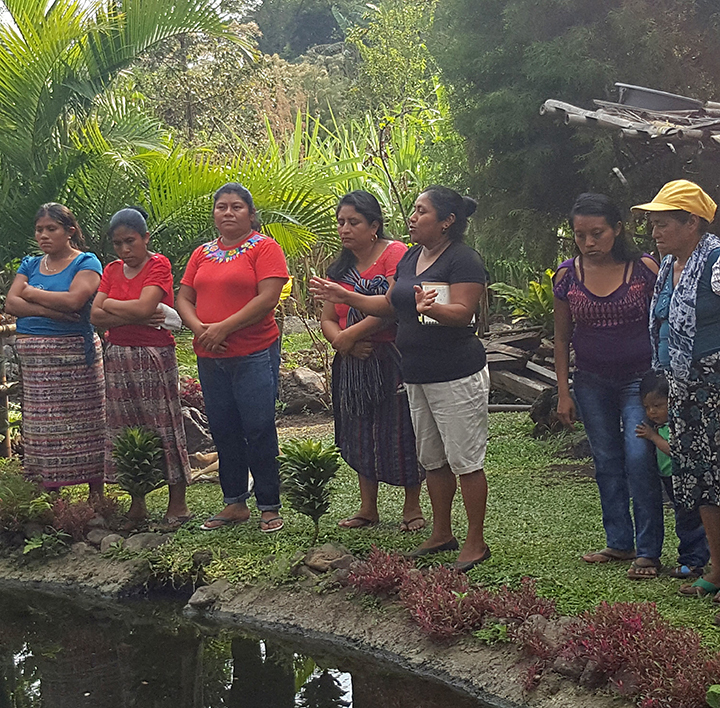 The CCDA has been defending the economic, social and cultural rights of the Mayan people since 1982, struggling for equitable land distribution, carrying out sustainable agricultural development, and encouraging the economic empowerment of women. The CCDA also produces the organic and fairly traded coffee, Café Justicia sold by volunteers across Canada. Sixty percent of CCDA program coordinators are women, many of whom have been empowered through production projects including the expansion of their Tilapia fish farm, macadamia nut production and beekeeping for honey production and for coffee tree pollination, greatly enhancing the productivity of Café Justicia. 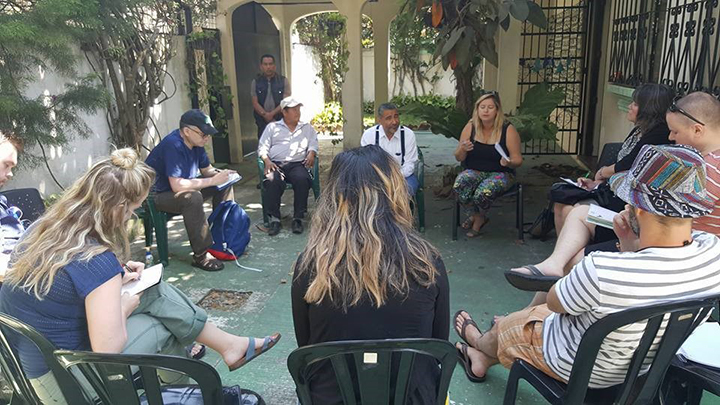 While in Guatemala, the delegation met with many communities and organizations that are working to obtain justice and respect for indigenous rights, human and labour rights, and access to land. 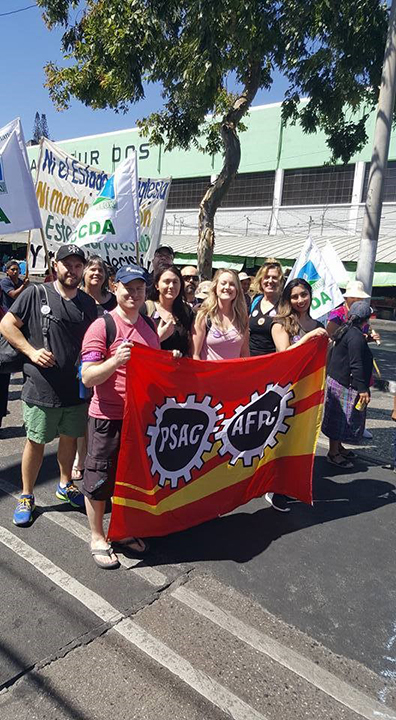 The solidarity that has been built between PSAC members and partner organizations in Guatemala is crucial to understanding the importance of the PSAC Social Justice Fund work. The delegation also visited SJF’s long-time partner, the Center for Legal and Social Action (CALAS), supported through the SJF’s “Roberto Miranda Fund”. 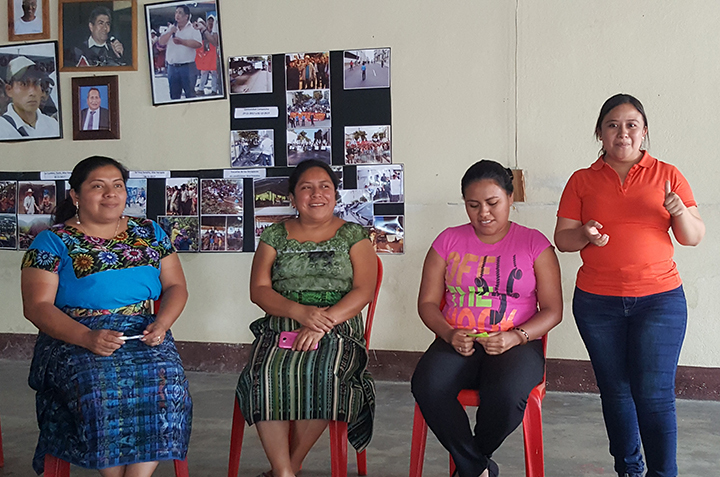 CALAS has been working to protect the environment and provide legal support, accompaniment and capacity building for communities defending the rights of indigenous peoples in Guatemala. 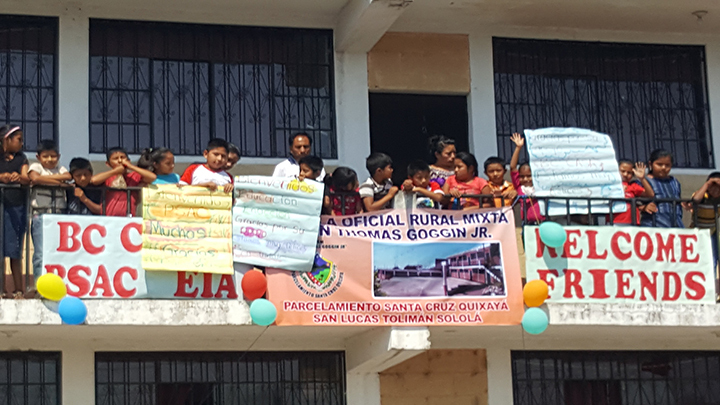 Many of these communities have been negatively impacted by international mining companies. The delegates met with Congresswoman Sandra Moran, first openly LGBTQ2 member of the Guatemalan Congress explained how she is working on two separate laws to bring to Congress. The first is the recognition of aggravated assaults and violence against the LGBTQ2 community and the second is to recognize gender identity. With delegates from the LGBTQ2 community as part of this delegation, this meeting brought the PSACs commitment home. The delegation was also impacted by Mayra Jimenez, the Founder of the campaign “56+1”. She and other women have been supporting the families of the 41 victims (all girls) burned alive in a locked room, in a state-run facility on International Women’s Day, 2017. They are fighting to get justice for these young women who suffered abuse and were being trafficked by the staff managing the facility. PSAC members have returned to Canada with a renewed focus on human and labour rights and a desire to bring this information to the forefront of their unions, locals and communities to work towards a better world. 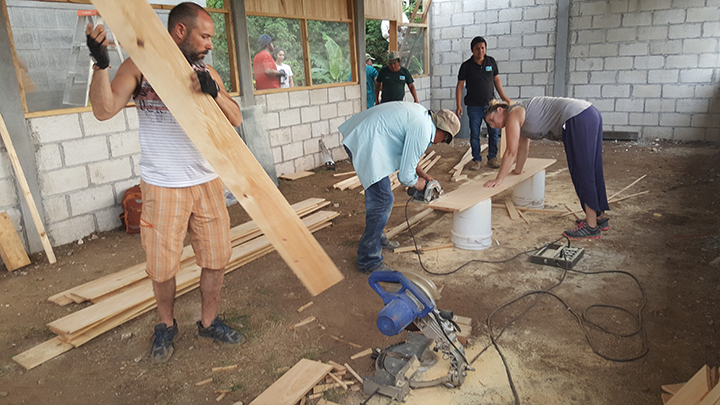 The EIA team helped to build 3 new classrooms for music, library and a computer room.